Is there really anything better than peanut butter, chocolate, and marshmallows? (or to be more specific...chocolate peanut butter!) It's one of my new favorite combinations! I know that usually s'mores are made with graham crackers, chocolate, and marshmallows but sometimes it's fun to mix it up. Now you can buy marshmallows in lots of flavors...fruit, chocolate, coconut. Chocolate of course has a never ending spectrum of flavors. 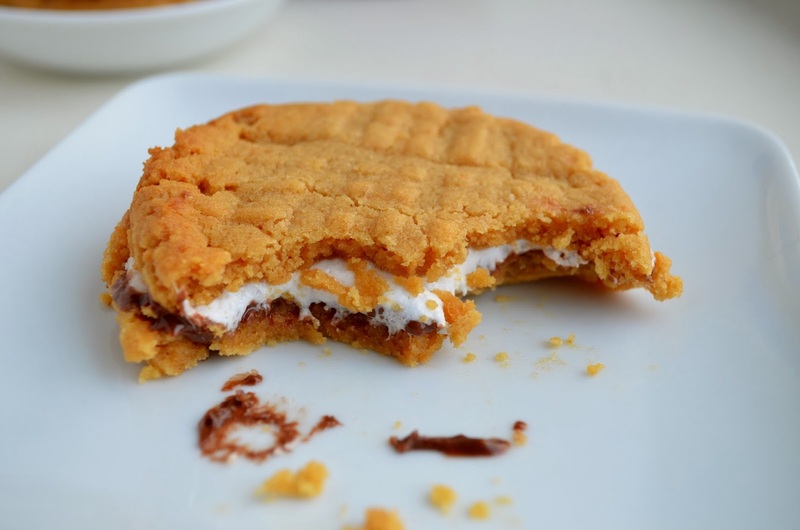 I decided to use peanut butter cookies as my outer shell for the s'mores because I love peanut butter cookies. I also used vegan marshmallows for mine but obviously this works perfectly with regular marshmallows. I made one for my husband with regular marshmallows and the only difference was that the marshmallows started to swell in the microwave before mine did. Originally I thought about using chocolate chip cookies and chocolate chips with the marshmallows but then I realized we had chocolate peanut butter and the idea stuck. 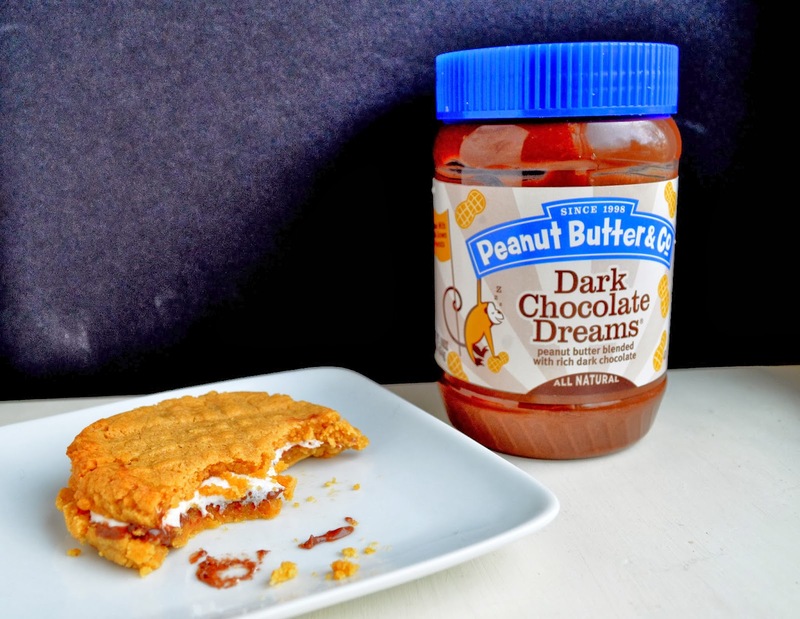 There are several chocolate peanut butters available on the market now, but I used Peanut Butter & Company's Dark Chocolate Dreams. 1. 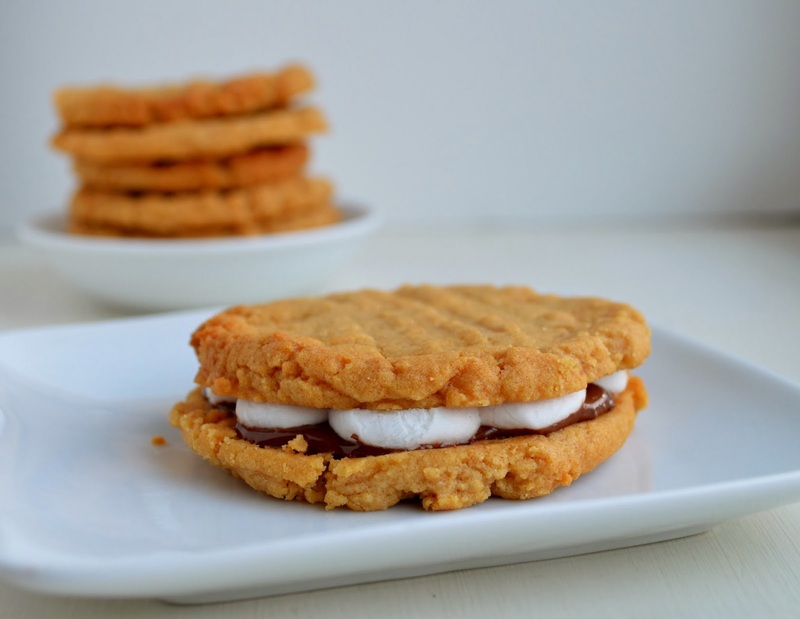 Spread about 2 teaspoons of chocolate peanut butter onto one peanut butter cookies. Top with enough mini marshmallows to cover the peanut butter, leaving a little space between each marshmallow. 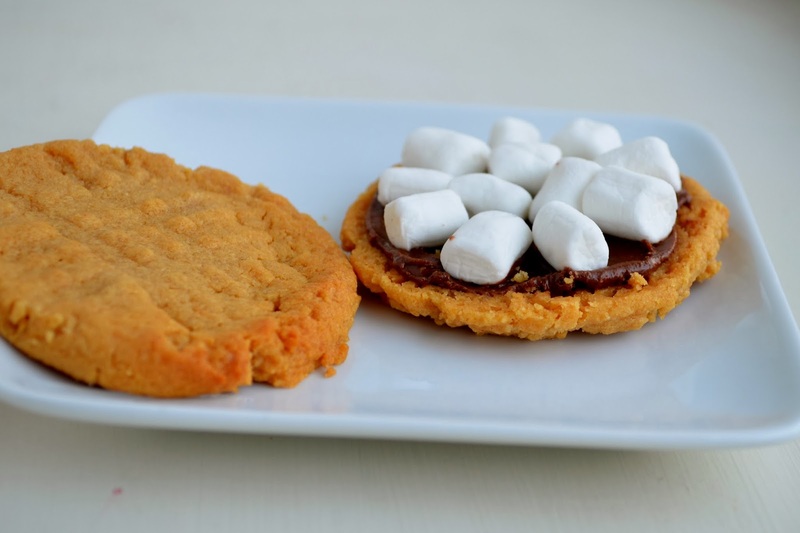 Place another peanut butter cookie on top of the marshmallows. 2. Microwave the s’more for 8-12 seconds (depending on your microwave). Let the cookie sit for 45-60 seconds to firm up slightly because it will be soft, serve warm. Click here for the parties I may link up to each week. Don't forget to follow me on Blog Lovin' or using one of the buttons at the top of the page so you don't miss a recipe!